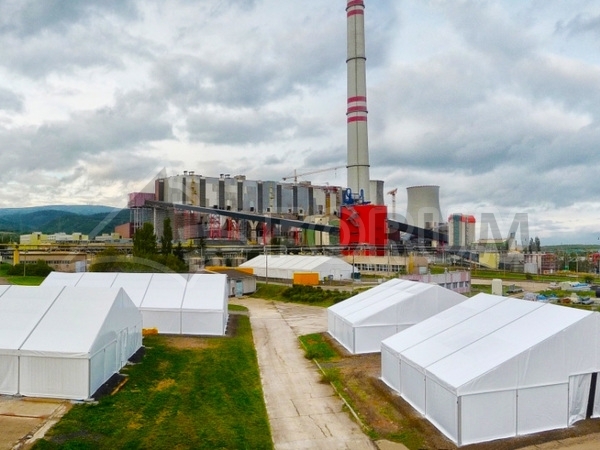 Our fabric structures help during the general overhaul of Elektrárny Prunéřov as temporary covered working sites for construction contractors. 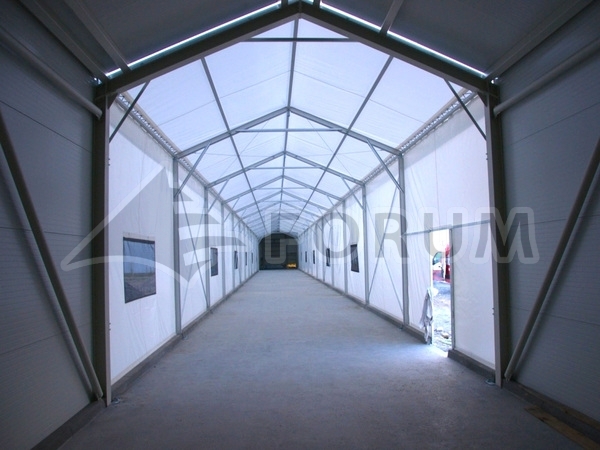 Tent building as a corridor? 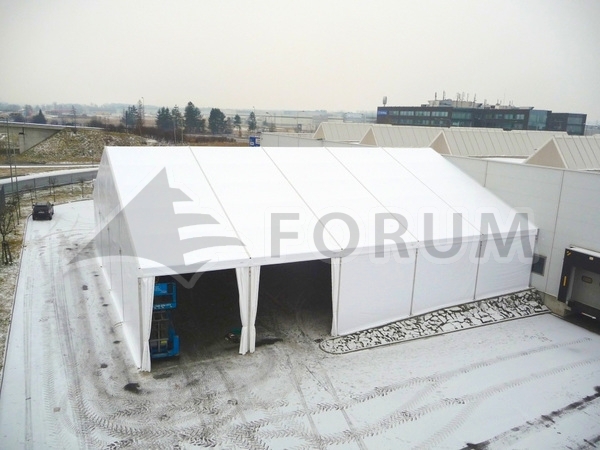 White colour is not the end! 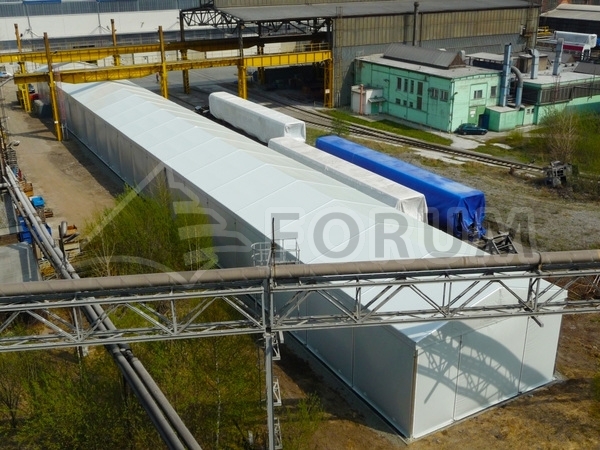 We manufactured the longest building in the history of our company. 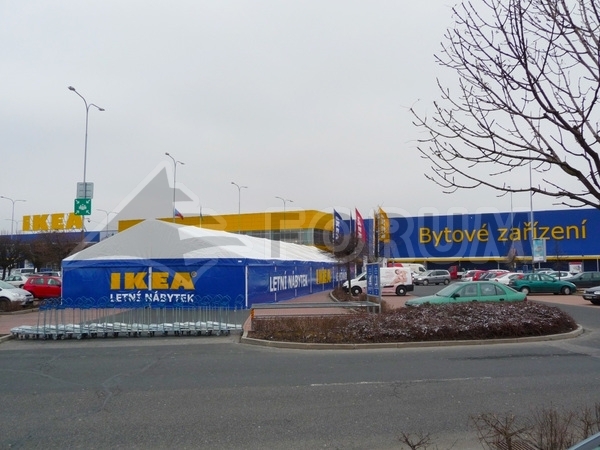 Custom order for ŠKODA VAGÓNKA a.s. in Ostrava. 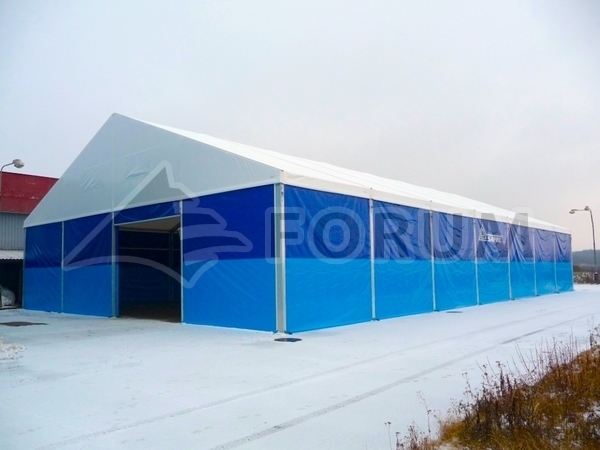 The building is 10 metres wide but full 100 metres long! 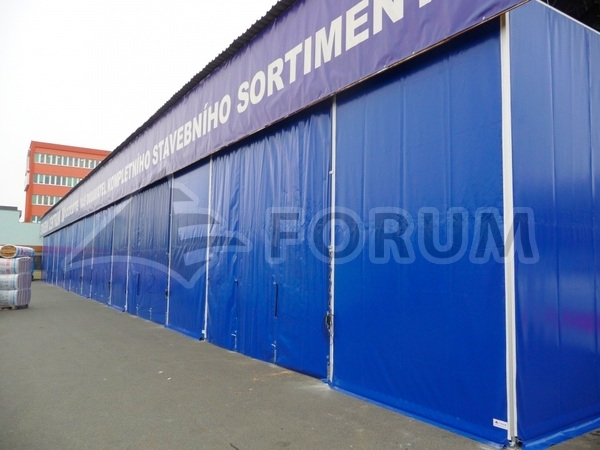 The walls are 5 m high and the internal space is used for the installed rack system. 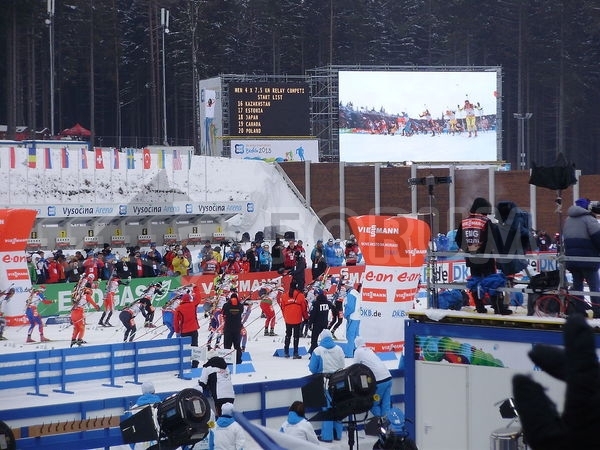 We would like to invite you to Biathlon World Championship 2013 held this year in February in Nové Město na Moravě. 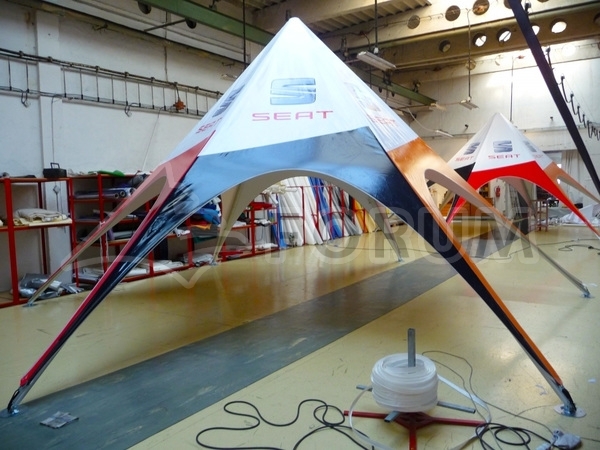 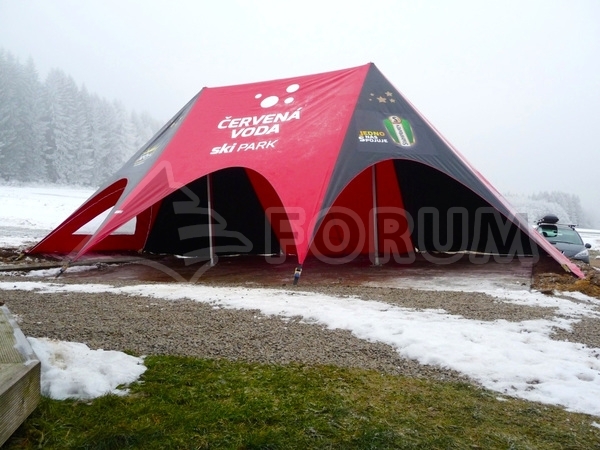 Besides other things, you can refresh yourselves in our party tents. 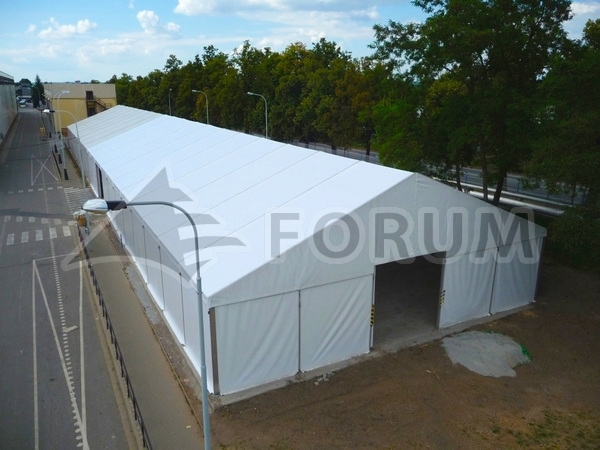 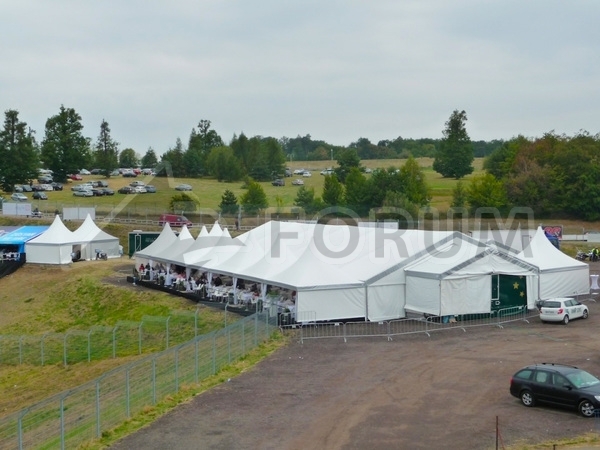 You can see the Forum Alfa tent in the size of 10x45 m and several smaller ones. 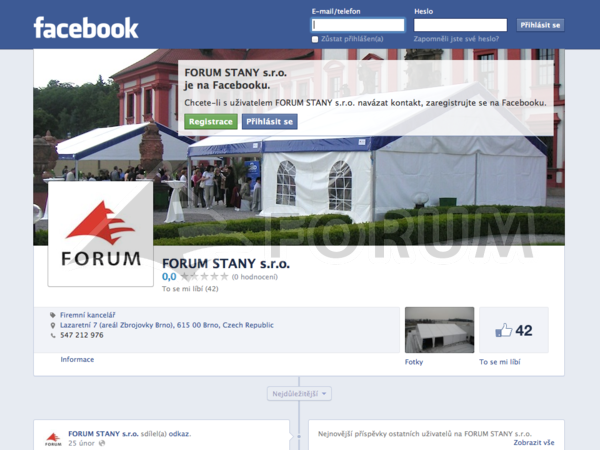 Pictures of our products and current information on what is happening in our company can also be found at Facebook. 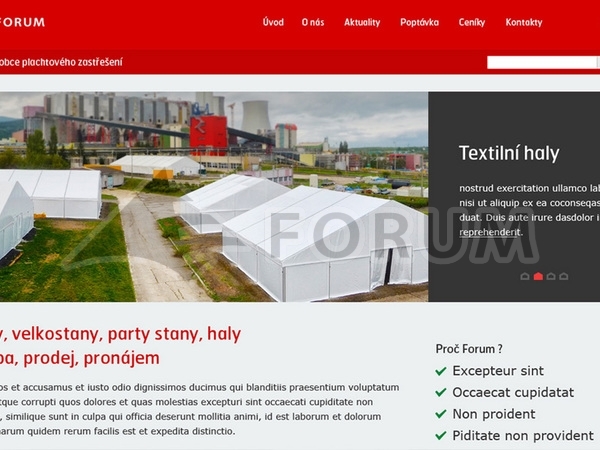 Welcome at our newly reconstructed websites where you can find all our products in clear arrangement, including their technical specifications and reference pictures. 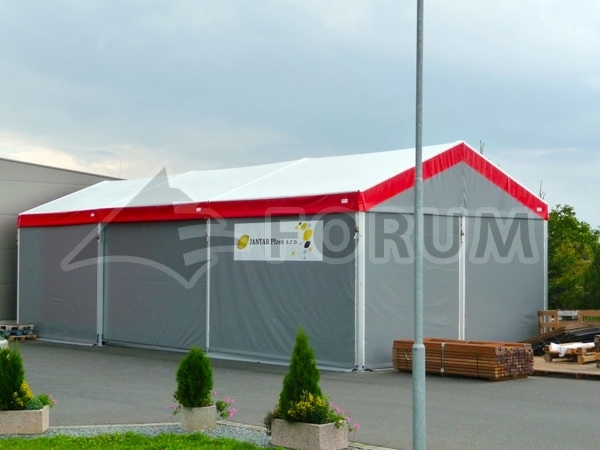 In this section, we will inform you about our new products, product discounts and prepared events.